The Peak of Chic®: Think Chintz! 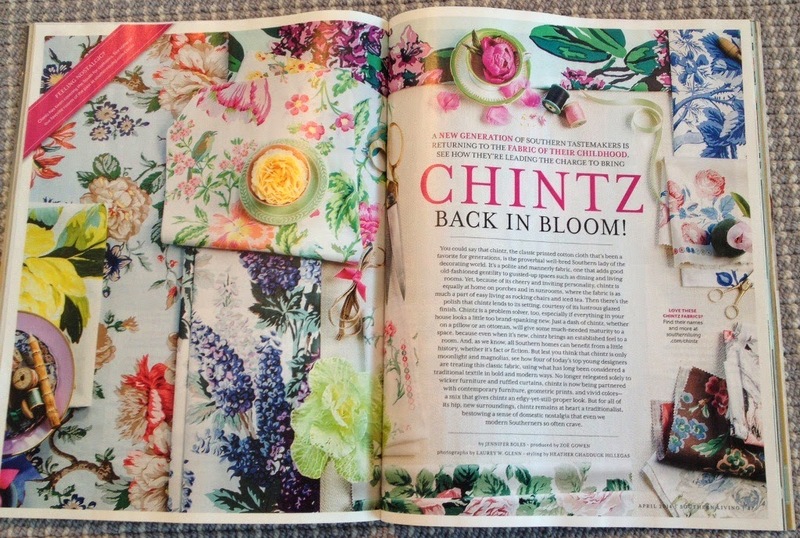 A big thank you to Southern Living and Lindsay Bierman for inviting me to write about chintz (are you listening, Mario Buatta?) for their April issue. In Chintz- Back in Bloom!, you'll not only read about what makes this fabric so timeless and special, but you'll also learn how Barrie Benson, Lauren Liess, Ruthie Sommers, and Celerie Kemble have used chintz to stylish effect. 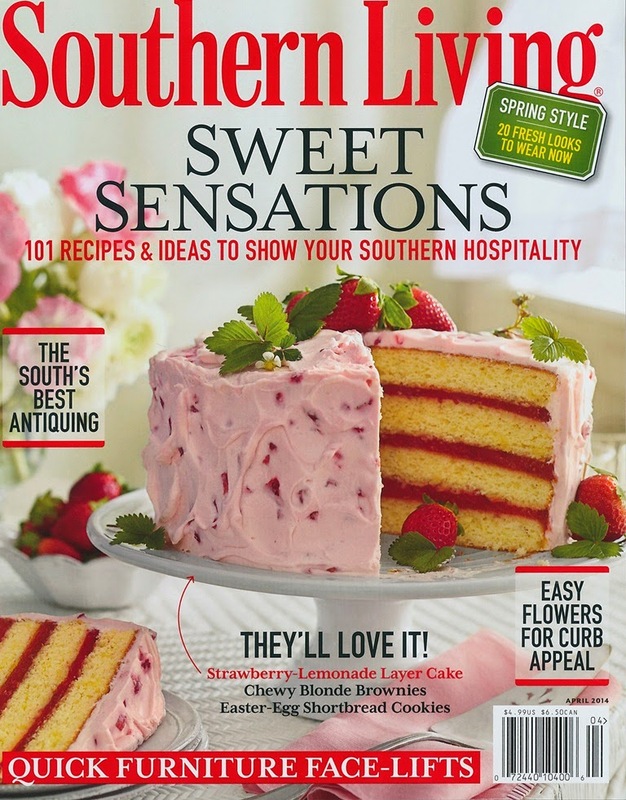 Visit your newsstand or the Southern Living website, where you can read the bonus Chintz in the South timeline. You just might find a mention of Designing Women in it. Simply beyond words!! Just dreamy! I really enjoyed the article - and photos are just terrific! Now, how can anyone think that chintz was ever "out?" We can't wait to pick up a copy & read this. Bravo, Jennifer! Jennifer: Loved the article & it was a pleasure working with you!! Thanks so much!! Jennifer - I Love this article! It was such a refreshing take on Chintz. It made me fall in love with it all over again! Fabulous job! !